Bo Shirley is a holistic health expert and advocate for the responsible use of medicinal plants to heal the mind, body, and soul. He is a founding partner at NuLeaf Naturals, one of the world’s premier CBD oil companies, and is passionate about sharing the therapeutic potential of cannabinoids with the world. Bo has a deep respect for Cannabis with over 10 years of experience in cultivation, consulting, and working directly with medical patients. Ultimately he is striving towards building a society that provides peace and sustainability for all. NuLeaf Naturals wellness products are derived from specially bred therapeutic hemp (Cannabis Sativa) plants grown on licensed farms in Colorado, USA. Our products are whole-plant extracts, not synthetic and not an isolate. The plants used to manufacture our products are grown using organic and sustainable farming practices. Our advanced cloning programs promise continued enhancement of our natural genetic strains and ensure a safe and regulated product, with unsurpassed potency and consistency. We utilize advanced engineering processes to create premium cannabinoid wellness products with a full spectrum of cannabinoids and terpenes. 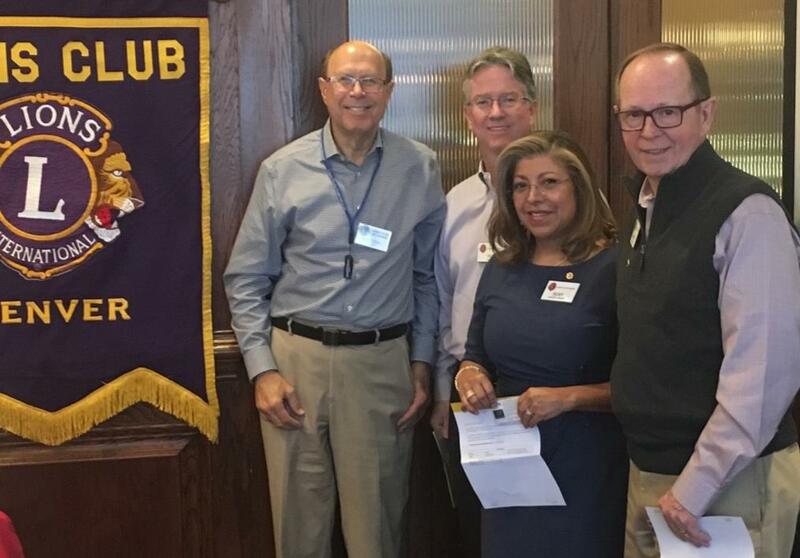 Lions Dwight Steen, Susy Osorio-Linsky, Ned Nagle, and Fletcher Brown were awarded the LCI Centennial Membership Award. This was earned for recruiting and retaining new Lions and for helping organize a new club. 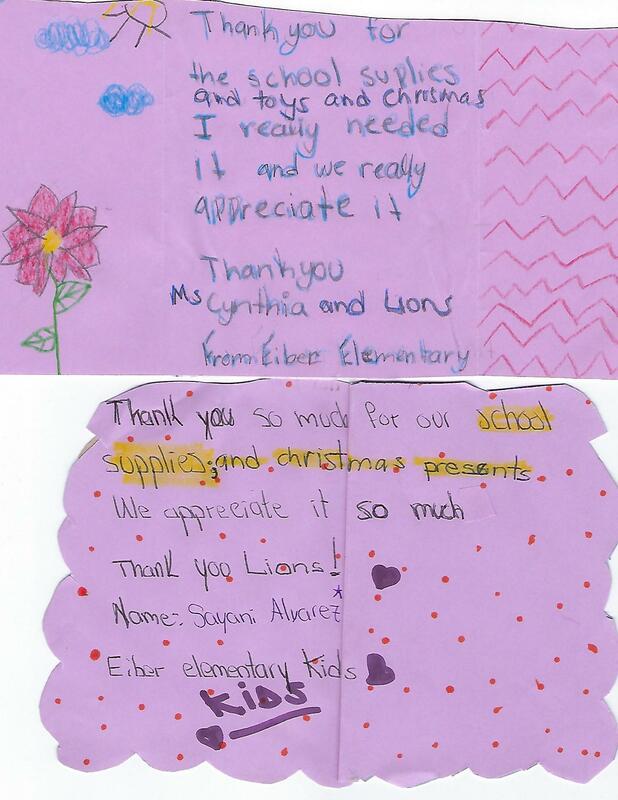 This past Christmas Lions raised $500 for Eiber Elementary School. Some of the money was from the Denver Lions Foundation and by passing the hat at our meetings. The Lion's generosity enabled the Eiber teachers to buy presents for the kids. Most of the kids are on the free lunch program. A third of the kids live in cars. 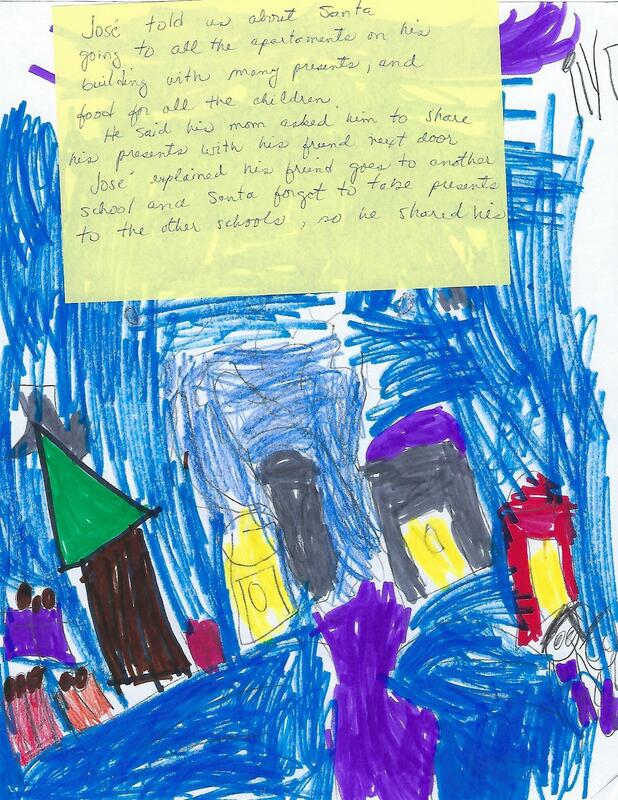 If it was not for Lions donations some kids may not have received a Christmas present. The teachers, parents, and kids were so grateful. 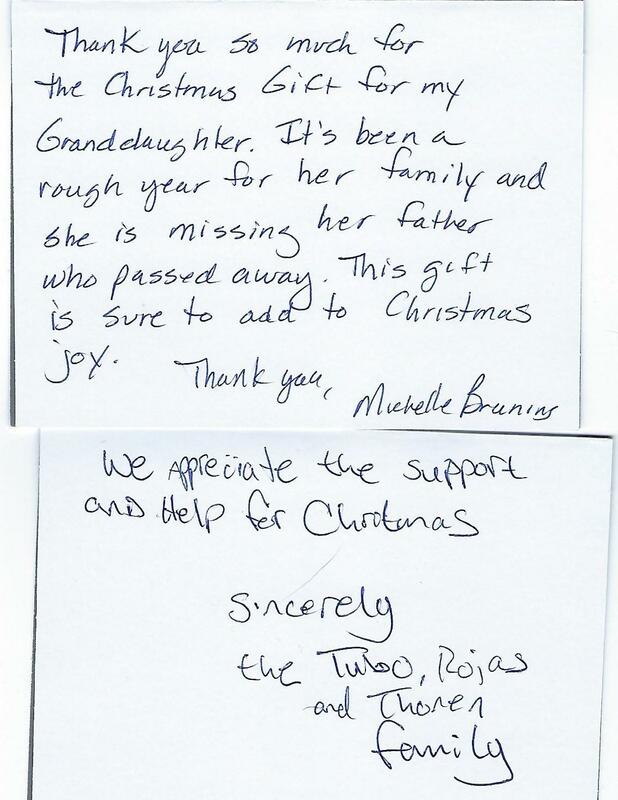 They sent an envelope filled with thank you notes. Below are just a few of the thank yous.